In April 1812, Carl von Clausewitz was on his way to the Russian headquarters in Vilna, nowadays Vilnius, the capital city of Lithuania. He had left Marie, Berlin and the Prussian Army behind because he did not want to fight for Napoleon, as the Prussian King Friedrich Wilhelm III had been forced to become a French ally and deliver troops for the Grand Armée’s campaign in the east. Clausewitz spent the month in Silesia in the company of his old mentor Gerhard von Scharnhorst, writing The Principles of War (Link) and waiting for Friedrich Wilhelm’s answer to his resignation. At the beginning of May, Clausewitz finally left for Russia. On May 20th he reported at Tsar Alexander I’s headquarters in Vilna. The decision to leave Prussian service and fight for Russia had profound consequences for Clausewitz’s later career, because many Prussian officers who had stayed in Prussia and many members of the royal family did not welcome him back with open arms in the following year. Quite the opposite: the resentments against those returning as victors in Russian uniforms ran high. Yet his time in Russia, as physically challenging and mentally taxing as it was, became a period of enormous intellectual growth and invaluable combat experience. The manuscripts of Carl von Clausewitz’s Lectures on Small War have been digitalized and are ready for study (Link). Until now, if you desired to examine them, you had to travel to Münster University and State Library in Germany. Now you can take a look at the lectures from the comfort of your laptop, in your office or home. If you scroll to pages 68-94, you will find rough drawings and maps of different battles, probably drawn by Clausewitz himself. 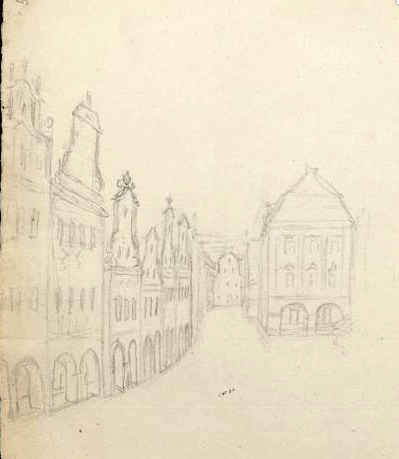 And even a random sketch of a street (page 109), which, as Vanya E.Bellinger suspects, might represent the main square of Nikolaiviertel in Berlin and perhaps was drawn by Marie (but maybe Carl swooped it together with his papers). The manuscripts require, as course, knowledge of German and of nineteenth-century German handwriting. It might take years and plenty of enthusiasm to decipher and study in detail the drafts of Small War. Yet even if you just scroll through these pages for a half hour today, you would gain a greater appreciation for how rigorous and intense Clausewitz’s thought process was. In 1810-1812, a mere major in his early thirties, he composed these lectures and taught a class at his old school, the Prussian Military Academy. If you want to learn more on the subject of Clausewitz the lecturer, we recommend Peter Paret’s essay “Half against my will, I have become a Professor.” It was published in Journal of Military History, April 2011 (Link, Subscription) and also in Clausewitz in His Time: Essays in the Cultural and Intellectual History of Thinking about War (Link). A new English translation of Lectures on Small War by Christopher Daase and James W. Davis was released just last fall (Link). Side note: In Clausewitz time, “small war” meant limited operations supporting a bigger theater of war. This is the reason why Peter Paret, for instance, prefers to use the term “little war.” For more on the subject, see also Christopher Daase’s paper “Clausewitz and Small Wars” on Clausewitz.com (Link). Paret’s article is based on his lecture, one of a series of talks given by renowned scholars in the fall of 2015 at the Pentagon. You can watch all of them on Clausewitz.com. Particularly interesting is Chris Bassford’s lecture on limited and unlimited wars—they may not be quite what you think (Link, scroll down). There are also videos of Paret, Alan Beyerchen, Jennie Kiesling, and Jon Sumida, and a group discussion. Was Clausewitz a great psychologist? Could his profound psychological insight be the reason why he and his lifework remain so popular? Read Kenneth Payne’s paper “Prospect Theory and the Defense in Clausewitz’s On War,” presented in March at a conference in Atlanta. (Link). You can also read ken’s article “On the Psychology of Defense,” a shorter and more accessible article on the subject (Link). Starting with Clausewitz’s statement that “although our intellect always longs for clarity and certainty, our nature often finds uncertainty fascinating,” Steven L. Foster argues that we have to train the leaders of tomorrow better (Link). During the annual meeting of the Society for Military History (Ottawa, April 14-17), a catchy phrase made the rounds. “Don’t quote Clausewitz, give me a solution!” It came from Dr.Gordon Rudd, a professor of strategic studies at Marine Corps’ School of Advanced Warfighting (SAW). We die-hard Clausewitzians agree. Too often Clausewitz is quoted, left and right, as a way to show off, but too few of those quoting him demonstrate a practical ability to apply his ideas. 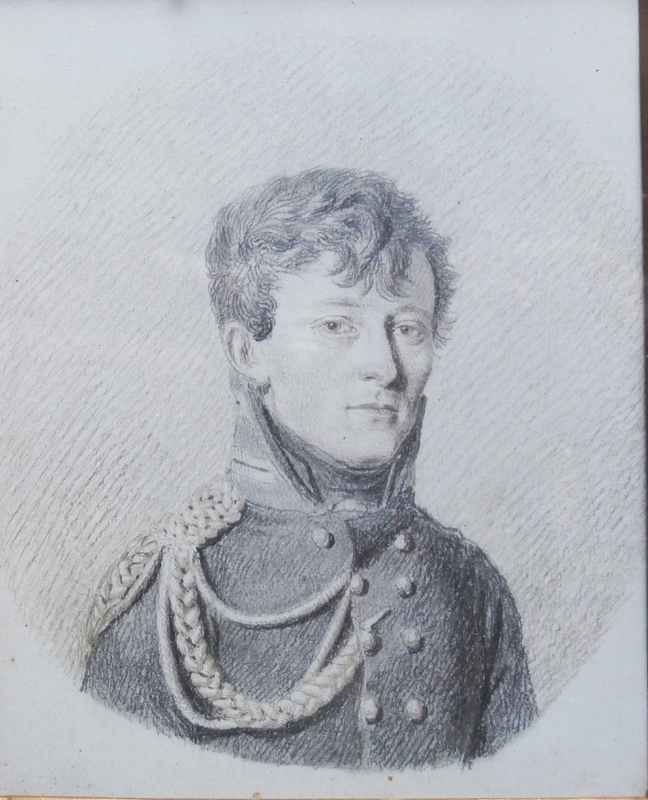 Olaf Thiel, from Clausewitz Society in Burg, FRG, researched Carl von Clausewitz's path in 1818-19 to the post of Director of the War College in Berlin, where he would remain until 1830 (PDF, German). Some earlier biographers had speculated that Clausewitz's appointment as the institution's director was aimed at marginalizing him and putting him where he could be kept under close surveillance at a time when King Friedrich Wilhelm III mistrusted the Prussian reform faction. Olaf's essay and the correspondence quoted between Clausewitz, August Neidhardt von Gneisenau, and Carl von der Gröben demonstrates a high likelihood that the military theorist desired the position very much. Clausewitz felt lonely and away from his friends, especially Gneisenau (now serving in Berlin), and Marie yearned to be back among friends, family, and the hurly-burly of politics in the capital. Bonus: Olaf's text shares some curious observations about Clausewitz's dealings with young officers in transgression of the rules. Unsurprisingly, the military theorist was not a stickler for rules and regulations. When a young lieutenant allowed himself to talk back to a major, Clausewitz insisted on counseling, regarding a possible court martial for insubordination as an excessive measure. 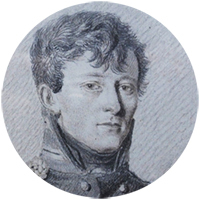 The unruly lieutenant was also the younger son of his late mentor Gerhard von Scharnhorst, which put Clausewitz in an awkward and disadvantageous position. He still believed that, as bad as insubordination was, there were much bigger problems in the military. • Willis G. Regier’s article “The Essence of War: Clausewitz as Educator” (Link). Side note: Regier writes that "Stressing that genius "is above all rules," Clausewitz appeals to every reader's vanity.” Do you think he has that part right? Read again in On War about what constitutes military genius and send us a short statement. We would like to start a discussion. 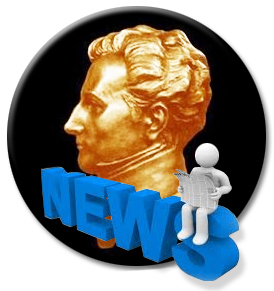 • Bruce Fleming’s essay “Can Reading Clausewitz Save Us from Future Mistakes?” (Link) See also the somewhat annoyed replies by Tony Echevarria and Michael David Rohr (Link, scroll down), and another by Clausewitz.com (Link). What is Bleddyn Bowen doing? When we saw Bleddyn Bowen’s Twitter blurb—PhD on Clausewitz in Space—we were too curious not to get in contact with him. Bleddyn is currently working on bringing the thesis to publication as a monograph, as well as an article explaining the core propositions of his spacepower theory. “I hope the theory, once published, will help both the historical analysis and contemporary strategizing of spacepower,” he wrote in an e-mail. FORTHCOMING: Youri Cormier's War as Paradox (which will be published by McGill-Queen's University Press, hopefully in November 2016, ISBN: 978-0773547698. Cormier teaches at the Collège militaire royal du Canada. The publisher believes that this is perhaps the most ambitious philosophical analysis of Clausewitz since Raymond Aron wrote Penser la Guerre in 1976. Starting with a genealogy of “dialectical war theory,” Cormier argues that principles of war—or “positive doctrines,” as Clausewitz referred to them—were built on the same faulty logic that allowed Enlightenment metaphysicians to claim to have “proven” the existence of God. This parallel is what allowed Clausewitz to refute his predecessors so effectively simply by applying almost word-for-word the systems of logic developed by Kant in his challenge to the metaphysicians. Cormier makes use of reference materials in six different languages and analyses the quality of the English translations of Clausewitz with regard to their choice of philosophical terminology. Adding precision to the meaning of philosophical terms allows him to offer a new interpretation of the methodological qualities of On War, while also taking Aron head on regarding the links between Clausewitz’s thought and the works of Kant and Hegel. Diving into the question of how Clausewitz’s method become increasingly Hegelian in the final years of writing On War, the book sheds new light on the controversy, while also showcasing the surprising divergence that occurred simultaneously between the two authors on the question of ethics. Whereas Hegel’s concept of war is imbued with self-justification as the “right” of states, Clausewitz arrives at the opposite conclusion, that war is a “mere instrument” of the state, i.e., an external moral agent. What use is a method that arrives at contradictory conclusions? Answering this paradoxical question allows the book to strike a new balance between Hegel, Clausewitz, and their detractors. It does this not by attempting, as has been done before, to hack away at the parts, hoping to bring down the holistic edifice of dialectical war theory, but by defining the scope of the method and its own self-contradictions and end-points in logic, which exposes potent paradoxes to consider when shaping fighting doctrines and interventions in this day and age. We are looking for volunteers! We would like to gather a team of scholars well versed in both English and German who would like to collaborate on new translations of Clausewitz’s works. Please let us know if you are interested and can volunteer your time and skills. We are particularly interested in putting out the following items, in both on-line versions and printed books, like Clausewitz.com's 2010/15 editions of his Feldzug von 1815 in Carl von Clausewitz and Arthur Wellesley, 1st Duke of Wellington, On Waterloo: Clausewitz, Wellington, and the Campaign of 1815, ed./trans. Christopher Bassford, Daniel Moran, and Gregory W. Pedlow. Contact Vanya Eftimova or Clausewitz.com.